The time has come for you to start planning your dream wedding, but where do you begin? We have a few recommendations for wedding venues near Scranton, PA, that you are sure to fall in love with. 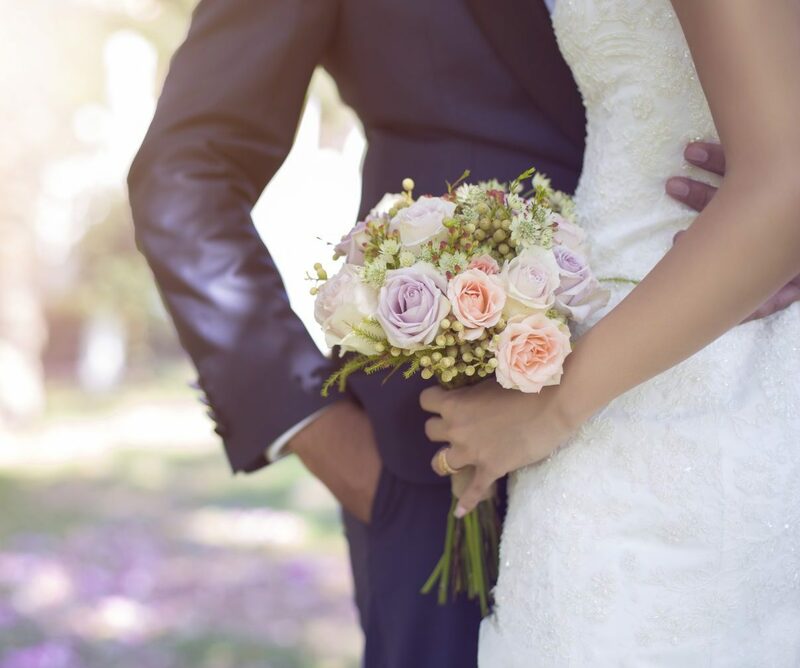 Whether you are hosting a large seated dinner or want a more intimate outdoor wedding, you are sure to decide one of the following locations is “the one!” Of course, we would love to host your event, as well as your family and friends, right here at the new Hotel Anthracite! As a gift to you and your guests, download our free Northeastern Pennsylvania Destination Guide to find out all the best places to visit during your stay. In addition to wedding venues near Scranton, PA, our free guide offers tips on outdoor recreation, upcoming events to attend, local restaurants you’ll want to try, and more! You’ll be traveling the area like a local in no time at all. Are You Looking for Wedding Venues Near Scranton, PA? We couldn’t recommend wedding venues near Scranton without mentioning Hotel Anthracite. Our space here in Carbondale is one of the largest in the area. 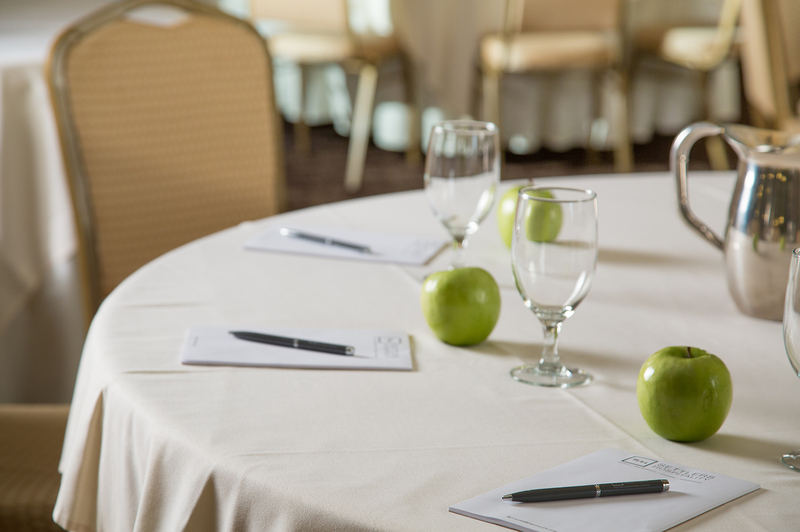 Our ballroom holds up to 350 guests comfortably. The hotel also has an outdoor courtyard area that is ideal for a small reception or cocktail hour. We also have a private dining room in our restaurant, Kol, that would make an excellent location for your rehearsal dinner with close friends and family, or a relaxed evening with your guests. Our newly renovated hotel exudes elegance, and our staff is always ready to assist you. The next time you’re in town, we invite you to schedule an on-site tour with our wedding coordinator. Located a short 45 minutes from Scranton is the town of Hawley, PA. The Settlers Inn is a beautiful lodge tucked away in this quaint town in the lake region of the Pocono Mountains. All of the details of your wedding will be taken care of by the professional staff at The Settlers Inn. Be sure to ask about having a wedding in the garden or The Undercroft Room. This space seats 125 guests and features a fireplace, glass-paned doors, and a stone entryway that leads to the garden. The Settlers Inn even provides couples with a custom wedding cake from their on-site pastry chef. Ledges Hotel is also in Hawley, PA. It overlooks Wallenpaupack Creek. This boutique hotel was once a glass factory, but it has been renovated to give the building a rustic feel with modern decor. Two wedding packages are available at Ledges Hotel. There is the Waterfall Package and the Gorgeous Package. The Waterfall Package hosts anywhere from 25 to 50 guests and includes the on-site ceremony and a cocktail reception. The Gorgeous Package hosts 75 to 125 guests. It also includes the ceremony and cocktail reception. You can browse all of the options for packages on the Ledges Hotel website. Located on the shores of Lake Wallenpaupack, Silver Birches is the ideal location for a waterfront wedding. This resort is the only location on the lake that can host up to 250 guests comfortably. This rustic yet elegant venue offers a wide variety of wedding packages, as well as the option to customize a package to your specifications. Let Silver Birches handle the small details of hosting a wedding so you can focus on having the time of your life! Hawley Silk Mill is a lifestyle center housed in a former silk mill. In addition to a market, bakery, shops, and a fitness center, Hawley Silk Mill also has a gorgeous event space named “The Boiler Room.” This room is similar to Ledges Hotel in that it’s a repurposed space that’s a mix of rustic and modern decor. You can select this unique space for your wedding or rehearsal dinner. Hotel Anthracite is home to 61 guest rooms, so we have plenty of space for everyone on your guest list. Our accommodations include standard rooms and suites. Select king suites offer a separate sitting area and pull-out sofas, so there’s plenty of room for your bridal party, whether you want to stay up all night reminiscing or have plenty of space to get ready on your big day. All rooms feature a refrigerator, AC, desk, TV, free Wi-Fi, luxury amenities, and upscale bedding. Plus, our boutique hotel offers all of the amenities you’d expect. From our ballroom to our courtyard to our upscale on-site restaurant, Hotel Anthracite is the perfect location for your wedding. The moment you walk through the doors, you are welcomed with the highest level of customer service and hospitality. Contact us for more information.